I’ve always enjoyed Oakledge Park which is located along the shores of Lake Champlain in Burlington. With Spring finally here, I decided to take a walk in the park yesterday and noticed a new addition. 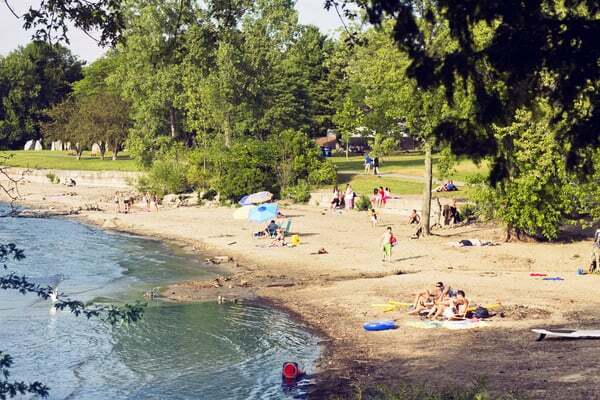 If you’ve been to Oakledge Park, you’ve probably noticed the remnants of crumbling foundations and brick barbecues on the upper ledges and throughout the area. I always wondered what the origins of those artifacts were. Now, anyone can find out the history of Oakledge Park as there are a number of displays installed throughout the park with photos and diagrams that do a terrific job of presenting the park’s history.